Decorative return filter grilles for wall or ceiling use. 50+ sizes available in these wood return air grilles with filter compartment. Special Order, Non-Returnable Item and cannot be cancelled once placed. 15-20 business day lead time. The Pattern Cut grilles are available in 56 sizes. For wall or ceiling use only. Special Order, Non-Returnable Item and cannot be cancelled once placed. 15-20 business day lead time. These Pattern Cut Filter Grilles are cut by a laser leaving accurate and identical cuts. For wall or ceiling use only. Special Order, Non-Returnable Item and cannot be canceled once placed. 15-20 business day lead time. Pattern Cut grilles make a perfect alternative to your old, rusty, steel grilles. Available in 26 designs. Special Order, Non-Returnable item and cannot be cancelled once placed. 15-20 business day lead time. Pattern Cut wooden air grilles can be painted or stained to match your decor. For wall or ceiling use only. Special Order, Non-Returnable Item and cannot be cancelled once placed. 15-20 business day lead time. Pattern Cut grilles are available in 3 veneers and 26 faceplate designs. For wall or ceiling use only. Special Order, Non-Returnable Item and cannot be canceled once placed. 15-20 business day lead time. Beautiful wooden Pattern Cut air grilles come in 56 sizes to match your decor. For wall or ceiling use only. Special Order, Non-Returnable Item and cannot be canceled once placed. 15-20 business day lead time. Pattern Cut grilles come in a variety of designs and sizes and designs. For wall or ceiling use only. Special Order, Non-Returnable Item and cannot be cancelled once placed. 15-20 business day lead time. Pattern Cut grilles cut from Baltic Birch hardwood. For wall or ceiling use only. Special Order, Non-Returnable Item and cannot be cancelled once placed. 15-20 business day lead time. Pattern Cut grilles are available in 56 different sizes and 3 veneers. For wall or ceiling use only. Special Order, Non-Returnable Item and cannot be canceled once placed. 15-20 business day lead time. Pattern Cut grilles are cut by a laser creating beautiful and intricate designs. For wall or ceiling use only. Special Order, Non-Returnable Item and cannot be canceled once placed. 15-20 business day lead time. Pattern Cut grilles are a beautiful addition to any home. For wall or ceiling use only. Special Order, Non-Returnable Item and cannot be cancelled once placed. 15-20 business day lead time. These Pattern Cut return air grilles come in 3 different wood veneers. For wall or ceiling use only. Special Order, Non-Returnable Item and cannot be cancelled once placed. 15-20 business day lead time. Beautiful Pattern Cut wood grilles are a perfect alternative to standard steel grilles. For wall or ceiling use only. Special Order, Non-Returnable Item and cannot be cancelled once placed. 15-20 business day lead time. Pattern Cut wooden grilles are cut from 1/4" thick Baltic Birch hardwood. For wall or ceiling use only. Special Order, Non-Returnable Item and cannot be cancelled once placed. 15-20 business day lead time. Pattern Cut wooden grilles can come in 3 different wood veneers to choose from. For wall or ceiling use only. Special Order, Non-Returnable Item and cannot be cancelled once placed. 15-20 business day lead time. Pattern Cut return grilles are a beautiful addition to any room. For wall or ceiling use only. Special Order, Non-Returnable Item and cannot be cancelled once placed. 15-20 business day lead time. Wooden Pattern Cut air grilles come in 56 different sizes. For wall or ceiling use only. Special Order, Non-Returnable Item and cannot be cancelled once placed. 15-20 business day lead time. Pattern Cut wooden grilles are cut by a laser creating intricate and beautiful designs. For wall or ceiling use only. Special Order, Non-Returnable Item and cannot be cancelled once placed. 15-20 business day lead time. Beautiful Pattern Cut grilles can be painted or stained to match your walls or trim. For wall or ceiling use only. Special Order, Non-Returnable Item and cannot be cancelled once placed. 15-20 business day lead time. Pattern Cut wooden grilles come in 26 designs, 56 sizes, and 3 wood veneers. For wall or ceiling use only. Special Order, Non-Returnable Item and cannot be canceled once placed. 15-20 business day lead time. 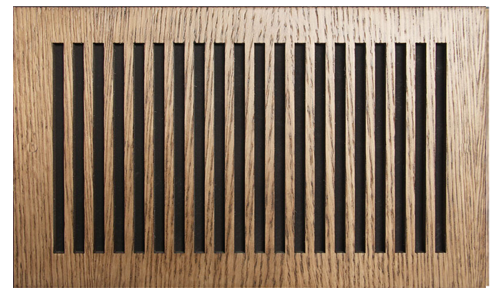 Pattern Cut grilles have 3 wood veneers available and 26 faceplate designs. For wall or ceiling use only. Special Order, Non-Returnable Item and cannot be cancelled once placed. 15-20 business day lead time. Pattern Cut decorative wooden grilles come in 56 different sizes. For wall or ceiling use only. Special Order, Non-Returnable Item and cannot be canceled once placed. 15-20 business day lead time. Pattern Cut grilles are cut by a laser creating beautiful and intricate designs. Wall or ceiling use only. Special Order, Non-Returnable Item and cannot be cancelled once placed. 15-20 business day lead time. This return air filter grille features a pine faceplate that you can stain to match your existing wood trim. Provides cleaner air in your home. The Worth Architectural Series filter grilles are a quality American made product. The filter and all hardware are hidden after faceplate installation. These return air filter grilles have a Pine faceplate that is meant to be stained. Worth Architectural Series grilles are crafted in America. Hide that filter behind a beautiful return air grille with a Pine faceplate that you stain to match existing wood trim. The Worth Architectural Series is American made. These filter grilles are beautiful and filter airborne particles from your home or office. Worth Architectural Series filter grilles are made in the USA. Worth filter return air grilles show no visible hardware and provide better air quality. These return air grilles are made in the USA. Worth filter grilles are a great alternative to standard metal filter grilles. Return air grille holds a 12" x 12" x 1" filter (not included). Return air grille has Poplar faceplate with steel housing. Important order INFO here. These return air grilles are constructed with a Poplar faceplate and steel housing on the back. Filter grille is designed to hold a 12" x 24" x 1" filter (not included). Important order INFO here. Worth wood return air filter grilles arrive primed and ready to paint. All hardware is hidden once faceplate is attached. This filter grille holds a 14 x 14 x 1 inch filter that is sold separately. Important order INFO here. Hidden hardware is a great feature offered by Worth filter grilles. Worth return air vents also have steel housing on the rear for structural integrity. Important order INFO here. This Worth return filter grille feature a Poplar faceplate with rear steel housing. The filter grille is delivered primed and ready to paint. Important order INFO here. This decorative filter grille arrives primed and ready to finish. The rear housing is constructed of 26 gauge steel with a Poplar faceplate. Important order INFO here. Filter grilles can reduce dust and other irritants in the home or office. This Worth Premier filter grille is delivered to your door, primed and ready for your finishing touches. Important order INFO here. Worth Premier filter grilles are constructed with a Poplar faceplate surrounded by steel housing that holds the filter (not included). Includes all mounting hardware. Important order INFO here. Worth Premier filter grilles are delivered to your door primed and ready to paint. Using return air filter grilles in the home or office can greatly reduce dust and airborne particles in your environment. Important order INFO here. Worth Premier filter grilles will show your attention to detail with their beautiful look. These air return filter grilles can improve your indoor air quality by filtering out airborne particles. These Worth Premier filter grilles arrive primed and ready to finish. All mounting hardware is included with purchase Important order INFO here.